A Mottahedeh Flower Frog Makes for Easy Floral Arranging! | Cape May Antiques Inc.
A Mottahedeh Flower Frog Makes for Easy Floral Arranging! I believe that Floral arranging is an art form. A talent, that was not bestowed upon me. So, I believe you should use tools to make it look like your a pro! Thus the flower frog bowl! I just plucked this from auction. 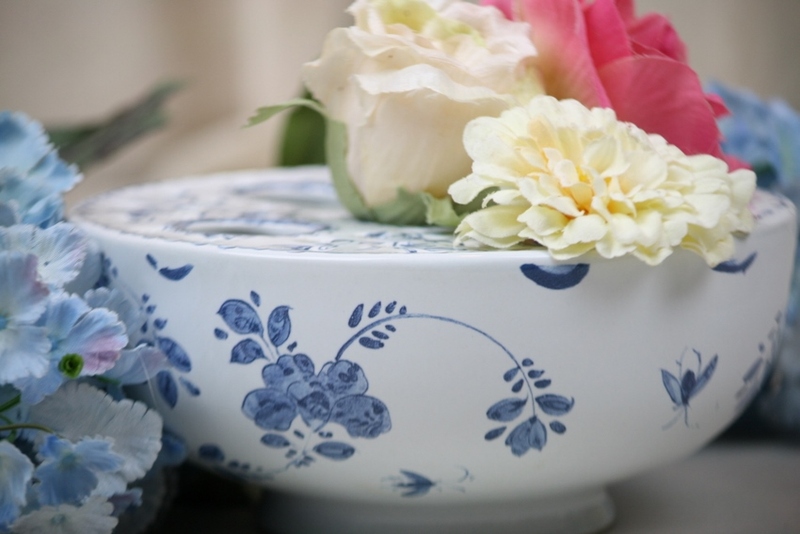 Gorgeous blue and white Canton style pattern and it is a fine quality Mottahedeh piece of porcelain from Portugal. For this gal’s photo shoot I used some pretty silk flowers from my shop. Short stems and large flowers for the larger holes. 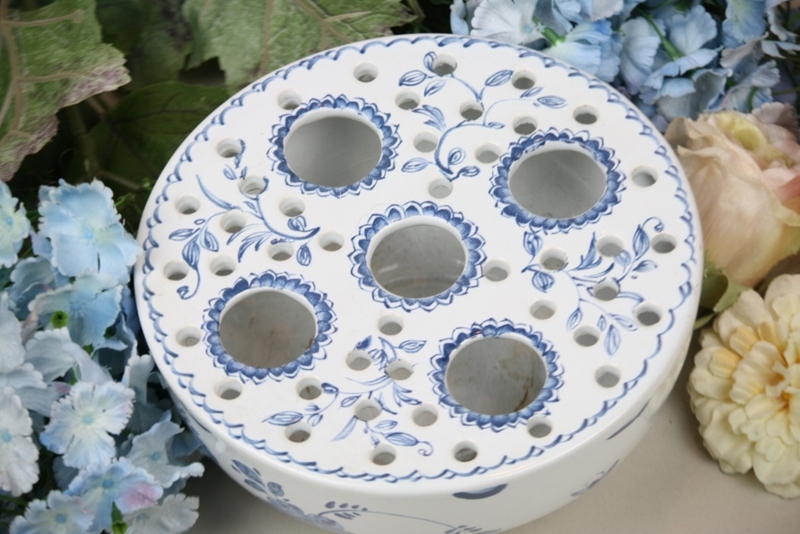 Then you can fill the many many smaller holes with pretty baby’s breath or other tiny flowers, dried or fresh. 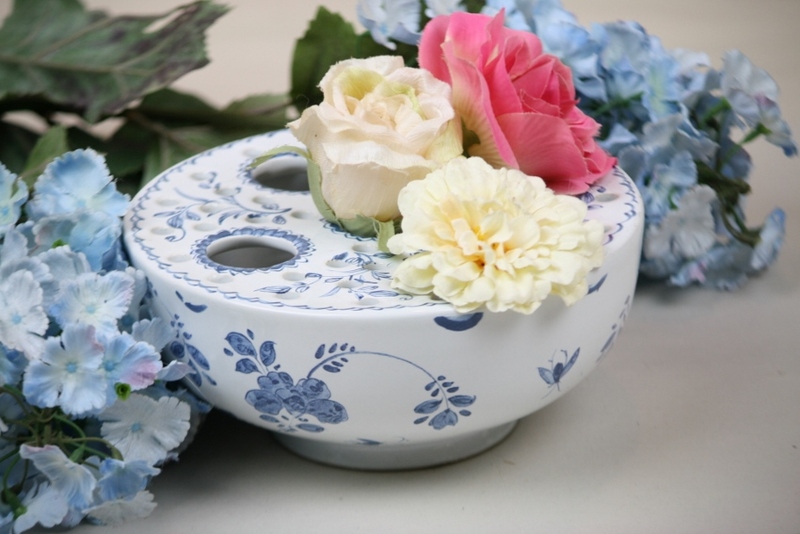 See the many options for inserting your flowers! 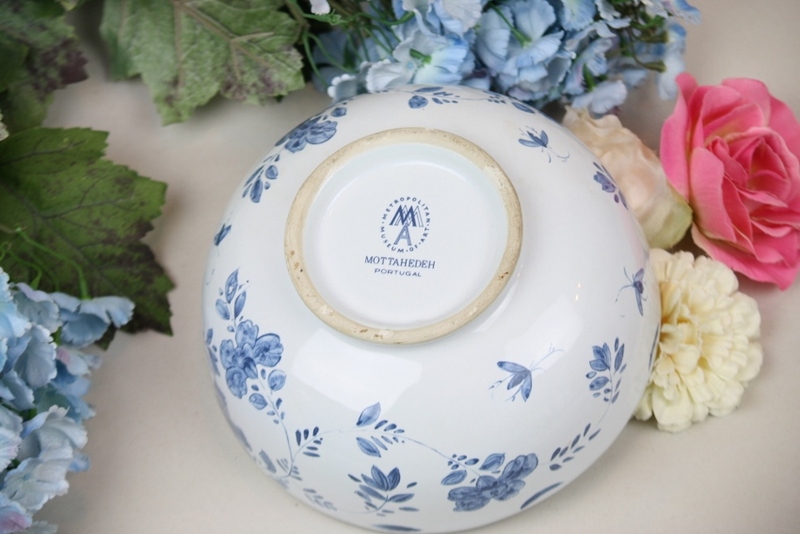 This lovely flower frog or crocus bowl was made for the Metropolitan Museum of Art! I love how they have re-created so many treasures from the past for us to use in present day…..wonderful pretty piece!